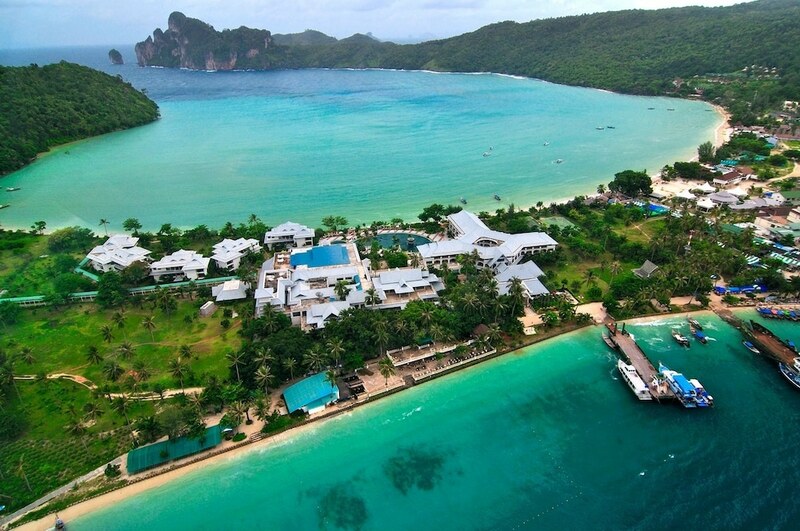 Monkey Bay (known as Ao Ling in Thai) is a popular spot on Phi Phi Don Island. Situated near the entrance of Dalum Bay (Loh Dalum) it is a small cove, very similar to Monkey Beach apart from the sand, which is thicker and yellow here. A superb coral reef lies some 50m from the beach, offering memorable snorkelling opportunities. The best way to reach Monkey Bay is by hiring a long-tail boat or by paddling your own sea kayak, which will take you a good 30 minutes. The bay is only inhabited by the colony of crab-eating macaques which gave it its name. Many people visiting Monkey Bay brought the bad habit of feeding the monkeys, so they now expect to get something to eat when they see visitors coming. Beware of these wild animals’ behaviour and do not go too close to them. Biting and scratching are common and painful issues and you certainly do not want to have to visit Phi Phi Hospital to get a rabies vaccine during your holiday!